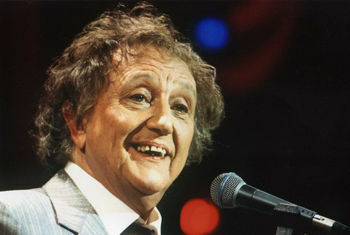 Ken Dodd ‘I have had the pleasure of appearing at the Alhambra Bradford on many occasions in Variety and Pantomime. I’m proud of the fact that the 1959/60 Jack and the Beanstalk is the record breaking panto run of recent years. I remember giving out Easter eggs from the stage! Now Ken Dodd returns to the Alhambra Theatre for the first time in many years with his famous Happiness Show. You’ll be absolutely discumknockerated (that’s Knotty Ash for ‘over the moon’) by a truly tattifelarius (fun-filled) evening of laughter and songs! Don’t miss this fantastic show for all the family, with a supporting company, non-stop gags and a selection of songs presented in his uniquely versatile style: everything from ballads to grand opera!